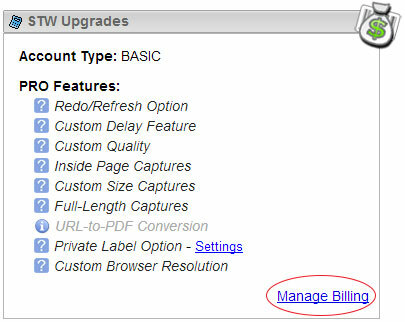 Step 1: Click the "Cancel ALL Subscriptions" link located at the top right of the active subscription list. *Note: You will not be able to upgrade or otherwise modify your subscription without updating your payment method first. Step 1: Click modify next to the subscription you wish to cancel. Step 2: Deselect all features you no longer wish to have. Step 3: Click the checkout button and proceed with checkout.